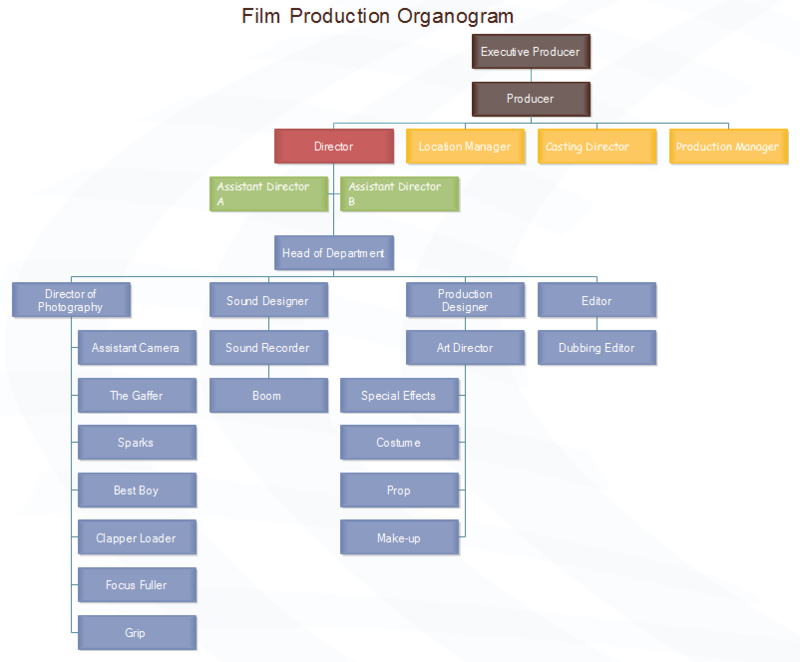 This image is a sample of film production organogram chart from which you can clearly know the construction of a film crew and have a general understanding of how the film is produced step by step. This chart is created in Org Chart Creator, a professional tool for drawing an org chart template. Alternatively, feel free to use this easy org chart creator for more advanced settings and management of your business teams. It’s pretty easy to use this tool. For more manipulation, go to Customize Organogram Chart Easily.